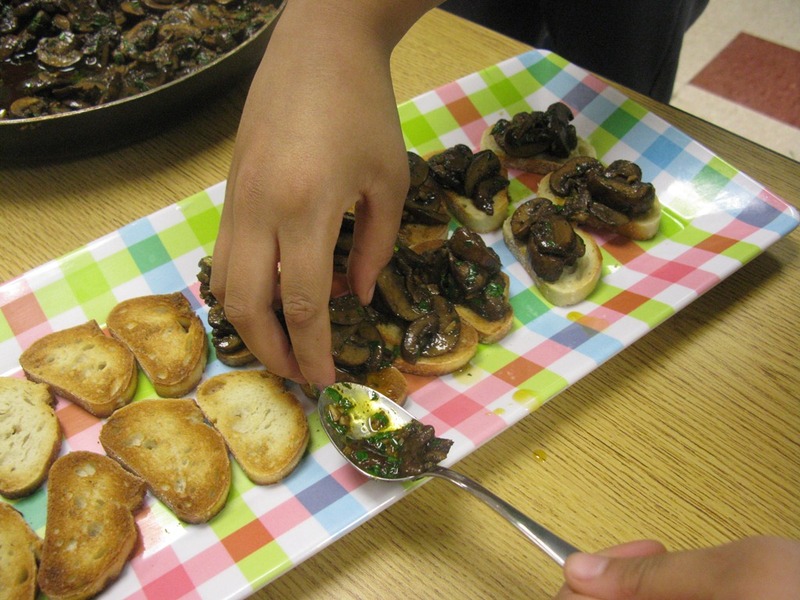 If you can saute mushroom, you can easily make these mushroom canapes served as a Spanish “small plate,” or tapas. What sets these apart from the standard sauteed mushrooms are the seasonings of paprika and white wine vinegar. They’re a perfect appetizer. Start by slicing 30 cremini mushrooms and heating 3 tablespoons or more extra-virgin olive oil in a heavy skillet. 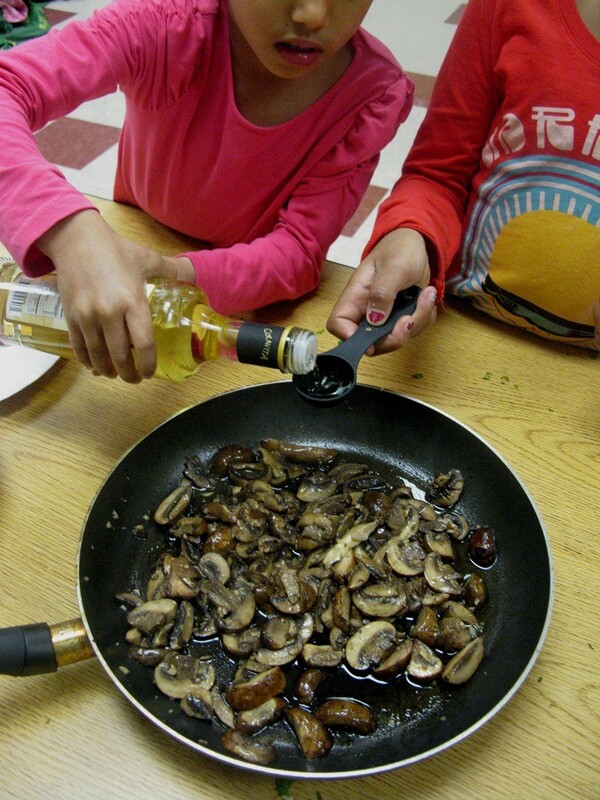 Turn the mushrooms into the skillet and tossing, adding more oil if the mushrooms seem dry. It helps to season the mushrooms with salt at this point to draw out the moisture in them, which will evaporate as you cook. Stir in 2 cloves garlic, minced and continue cooking. When the mushrooms have shrunk in size and darkened, add 1 tablespoon white wine vinegar and 1 1/2 teaspoons paprika. Continue cooking until the mushrooms are quite tender. The aroma of this dish cooking on the stove is so enticing, it drew people from down the hall into our kitchen. Remove mushrooms from the heat and stir in a small fistful of chopped parsley. Finish your tapas by spooning the mushrooms over small slices of bread or toasts spread on a decorative platter. We used a thinly sliced baguette, lightly toasted under the broiler. You can make this dish even more inviting with a decorative dusting of more chopped parsley. Note: Mushrooms have virtually no calories or carbohydrates but are a rich source of fiber, potassium, niacin and important minerals. If exposed to ultraviolet light, mushrooms also contain large quantities of Vitamin D.
I absolutely love mushrooms. I do mine in butter. Will try the white wine next time! How did it go over with the kids? Ivana, the kids loved the mushrooms.